We’ve all been there: you attend a conference or a workshop and sit enraptured through an insightful presentation and experience a surge of inspiration. Inspiration to tackle all of the problems that prompted you to sign up for the event in the first place and then some. The speaker laid out a crystal clear picture of what your future could look like and you want it. Only trouble is, as you leave the event, you realize that you have no concrete, actionable next steps to take to make that future happen. That post-event glow fades and you fall back into your routine, no better off than you were before. 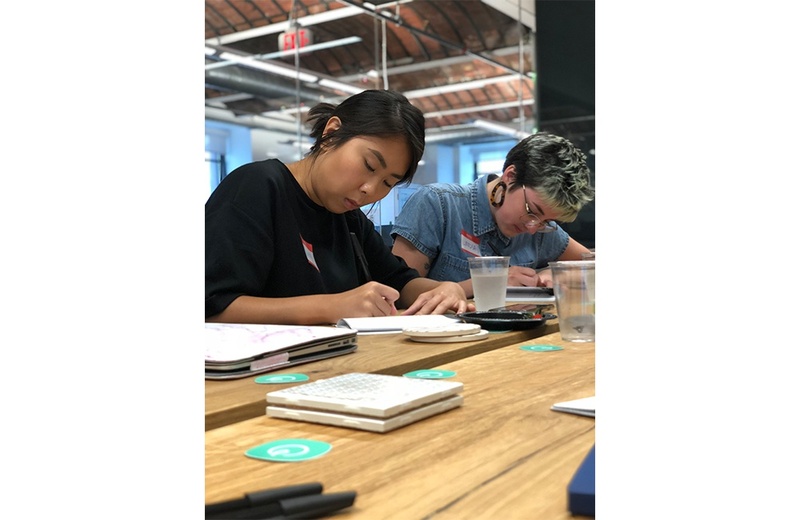 It was this familiar feeling of post-event helplessness that prompted us at Guru to create an event that empowers people to take action on the important ideas and projects they’ve struggled to prioritize. And thus the Empower Salon workshop series was born. At Guru, our mission is to empower individuals to live up to their full potential by delivering the knowledge they need to do their jobs when they need it. In pursuit of this goal, we developed an event series aimed at helping people execute on ideas that would help them solve challenges at work and achieve key business outcomes. 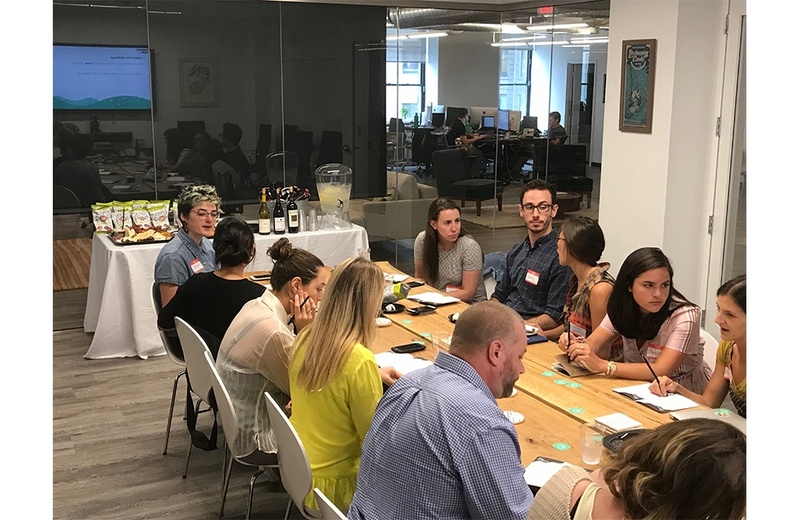 We debuted the Empower Salon in a series of three events in Philadelphia, San Francisco, and New York, welcoming attendees from companies like SquareSpace, Yext, Diligent Corp, Clever, Entelo, and Affirm. We believe in uniting customer-facing teams like sales, customer success, and support under a common goal of delighting customers and driving revenue, so we honed in on Customer Experience for the first iteration of the Empower Salon. The Salons were intimate gatherings of like-minded people, focused on facilitating conversations between CX leaders that would empower them to take action on the ideas they discussed. 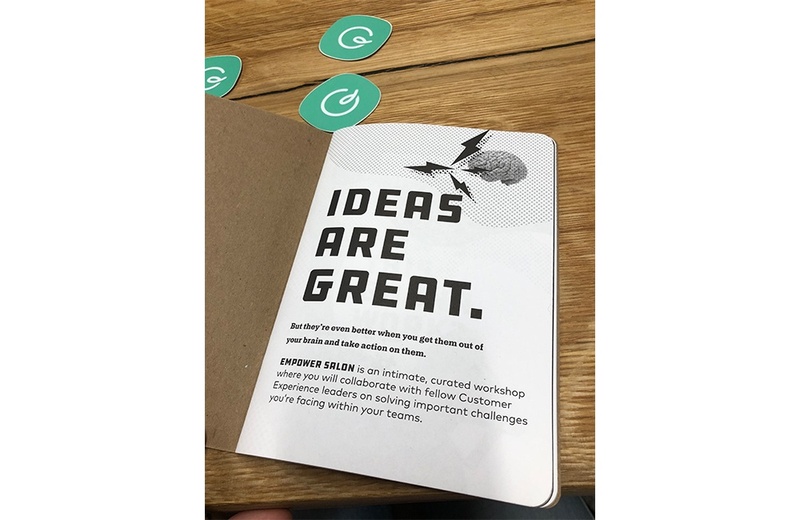 In choosing an area of focus for the workshop, we latched on to the notion that many people have great ideas on how to improve processes and solve problems at work, but aren’t given a forum in their day-to-day jobs to develop those ideas. By providing both the forum and the framework to work through their challenges, we were hopeful that we could empower participants to effect a real change. Identify and unpack an important, solvable challenge or opportunity that you can reasonably tackle in the next 30-90 days. The first phase of the session instructed participants to select a specific challenge or opportunity to focus their brainstorming efforts on. To reinforce the actionability of the workshop, we wanted them to pick a real life problem that they could actually think about solving. After silent reflection and conferring with neighbors, we came together as a group to discuss the various challenges people identified. It was interesting to see that many people shared the same challenges and were eager to connect over possible solutions. Envision what the world looks like after the challenge is solved, and start plotting the path to get there. For phase two, we focused on visualizing solutions. We asked participants to imagine what the future would look like if they could solve this problem and what the quantifiable impact would be for themselves, their teams, and their organizations. Picturing a world in which their pain points are alleviated and pinpointing the exact steps it will take to get there helps ground a hypothetical solution in reality. 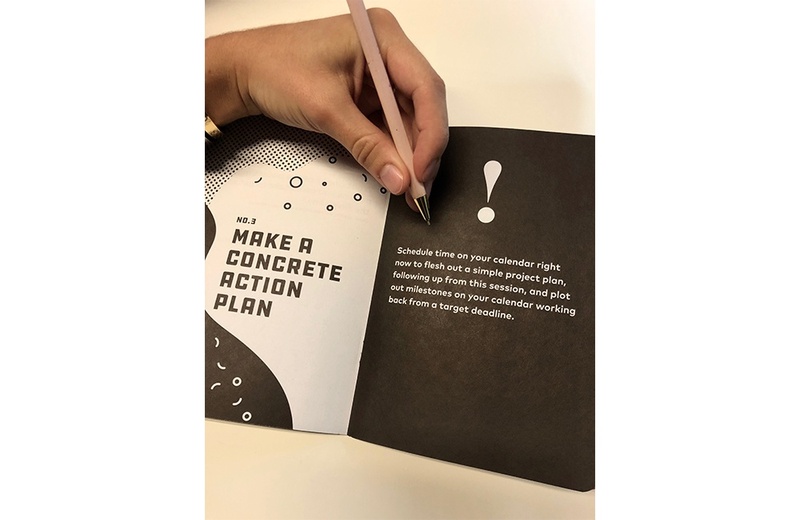 Zero in on the specific, discrete actions you can commit to, and organize them into an action plan to help guide you and make sure your ideas become a reality. For the final phase of the Empower Salon, we asked participants to commit to some real, actionable next steps. What could they do to build initial momentum over the next few weeks? We actually asked them to take their phones out and put a real goal on the calendar. It’s harder to blow something off when it’s in black and white on a calendar. To keep accountability high, we also encouraged participants to exchange contact information with a neighbor to both expand their CX networks and push one another to stick to their action plans. We also wanted to foster an environment that would endure after the workshop ended, so we created a Slack community for participants to join. 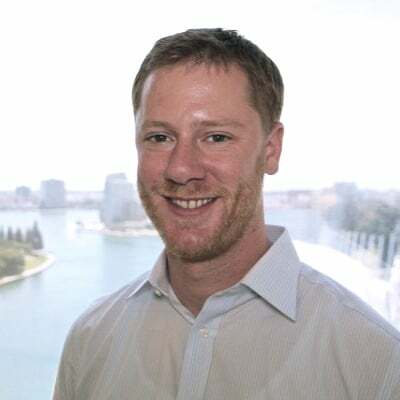 Executing an event that unites revenue team leaders proved to be a valuable exercise. Empower Salon participants reported enjoying having time and space to talk through ideas they previously hadn’t had an opportunity to develop. They appreciated the collaborative format and found connecting with peers helpful for tackling their projects. Connecting people with similar challenges proved to be a key component of making the workshops valuable and actionable. The more degrees of relevance – or commonalities – two people share, the more valuable their interactions will be. Because our participants were all CX leaders, they were able to dig into specific challenges that their neighbors could relate to, and more importantly, advise on. With a successful round of Empower Salons under our belts, we look forward to continuing the series in Q4 and 2019. We are excited to expand the scope of the Salons to the rest of the revenue team and offer workshops more frequently and in new cities. We’ll continue empowering CX leaders, and expand to rev ops and sales empowerment leaders. 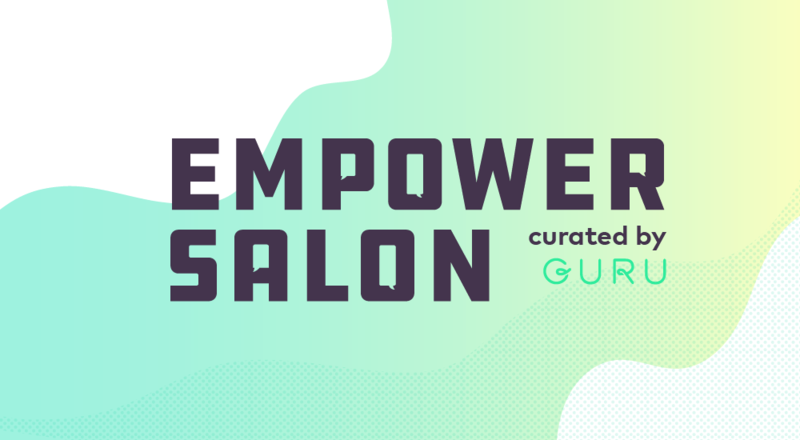 For information about future Empower Salons, feel free to reach out to me at canderson@getguru.com.